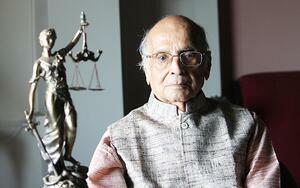 To sum up the many qualities of Dr Justice C S Dharmadhikari in three words is to contain an ocean in a tin jar. But, for Global Indian International School, Justice was a friend, philosopher and guide, epitomising qualities that have been portrayed as the important steps of the later of success. The stalwart was a cofounder and patron of Global Schools Foundation - which has been in the forefront in steering two international schools under its aegis to the heights of success. Losing a man of such stature to the cycle of time is a big loss to GIIS. Justice was a true Gandhian who spread his message across the seven seas including Singapore, said senior advocate Rafique Dada while paying a heartfelt tribute to the former Chief Justice of Mumbai high court during a condolence meeting in Nagpur recently. Justice shared his thoughts on non-violence, even as he planted the seed of a Peace Curriculum in the academic minds of GIIS in Singapore, giving the school a moral character through the founding of Mahatma Gandhi Centre for Universal Values (MGCUV). The Peace Curriculum is an integral part of the school’s value based programme that moulds students into ‘kind’ and ‘happy’ global citizens. The curriculum is implemented through a host of school activities like: starting the day with prayers and assembly presentations themed on different values, mediation programmes, social outreach programmes. Many other dignitaries, including Maharashtra Chief Minister Devendra Phadnavis, paid equally high tributes to the veteran judge, who had participated in India’s freedom struggle as a young boy, and inspired by the values of Gandhiji, had continued to work towards social justice and equality long after the country was free from British rule. 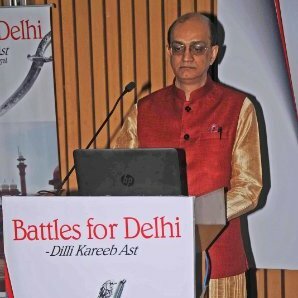 The associates, acquaintances, family and friends of Justiceji feel that he deeply touched the lives of all those whom he spend a considerable time with or even met briefly. One such close associate, Dr Anand Gokani, Mahatma Gandhi's great grandson, an Endocrinologist and a Diabetologist at Bombay Medical college, talks about how profound his influence was. 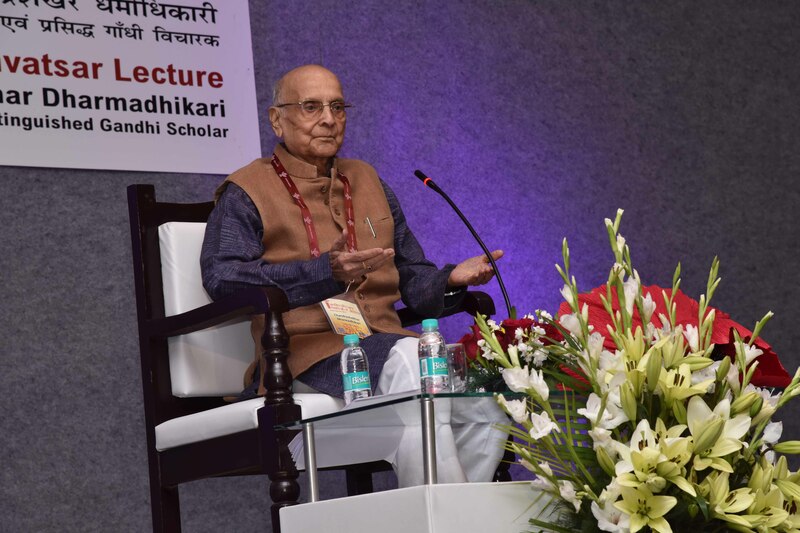 The GIIS and GSF family will always have great memories and remembrances of Dr Justice C S Dharmadhikari. We are thankful to God for our association with such a great soul who planted the seeds of moral and universal values in our education system. The organisation will always keep his teachings and existence alive by staying on the path of righteousness and teaching students the value of truth and social service.